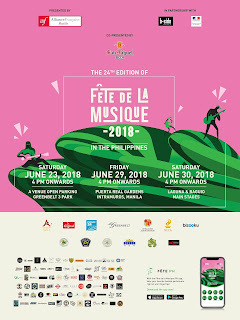 Following the monumental success of last year’s edition of Fête de la Musique in Manila, which produced over 30 stages and welcomed more than 30,000 Filipino music enthusiasts, Alliance Française de Manille (AFM) and B-Side Productions are gearing up for a bigger and better celebration of music this year. To help music fans in navigating the whole festival with ease, the organizers have partnered with Bizooku to develop the Fête PH mobile app,, which gathers all relevant information that Fête goers need to know about annual free-for-all music festival. The app outlines the schedule of performances in the main stages as well as the schedule of events in the pocket stages. It also features a tab with maps, detailed addresses and contact numbers of all the venues for this year’s festival. Fête PH is now available for download both on Google Play and Apple Store. For its 24th edition, Fête de la Musique will continue its tradition of producing several main stages in the Philippines. On June 23, 29, and 30, music fans around the country will be treated with the best of the local music scene. The most sought-after bands and up-and-coming artists will perform in A-Venue Parking Lot and Greenbelt 3 Park in Makati City on June 23. The day’s performers include: Ourselves The Elves, Pedicab, Orange and Lemons, Brass Pas Pas Pas Pas, Kjwan, Motherbass, BP Valenzuela, and a lot more. Meanwhile, on June 29, the Puerta Real Gardens in Intramuros will be transformed into a concert venue for Sandwich, Apartel, Ebe Dancel, Autotelic, Tom’s Story, and many more. 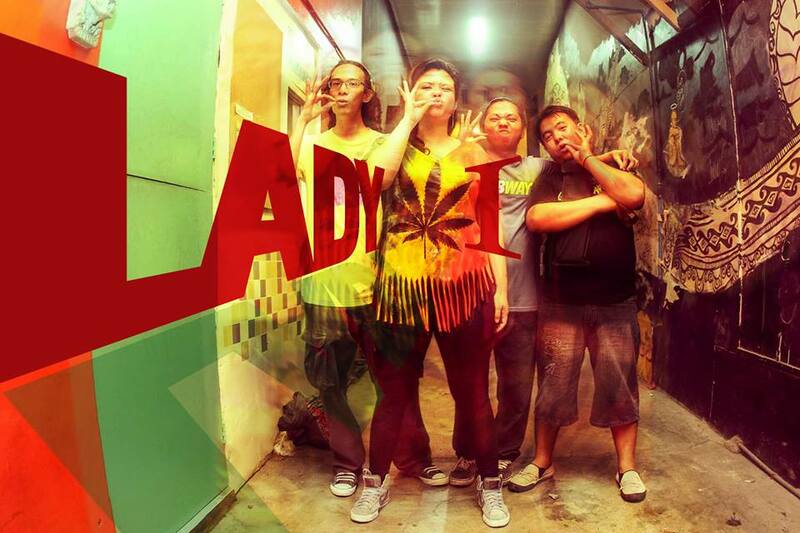 Lady’s Symphony, one of the rising names in the European electro-pop scene, will also fly to Manila to join the festivities. 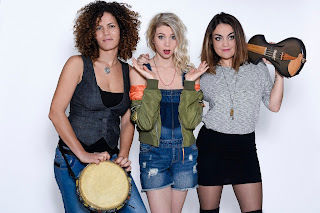 Composed of French DJ Liz Candy, violinist Nyna Loren, and percussionist Narjess Saad, Lady’s Symphony presents a new approach to House Music that takes the audience to a magical trip full of electronic rhythms and strong melodies. Lady’s Symphony is ready to wow Filipino music fans on June 29 at Puerta Real Gardens in Intramuros. There will also be main stages in Baguio City with Ang Bandang Shirley and Kat Agarrado, and in Pagsanjan, Laguna on June 30. 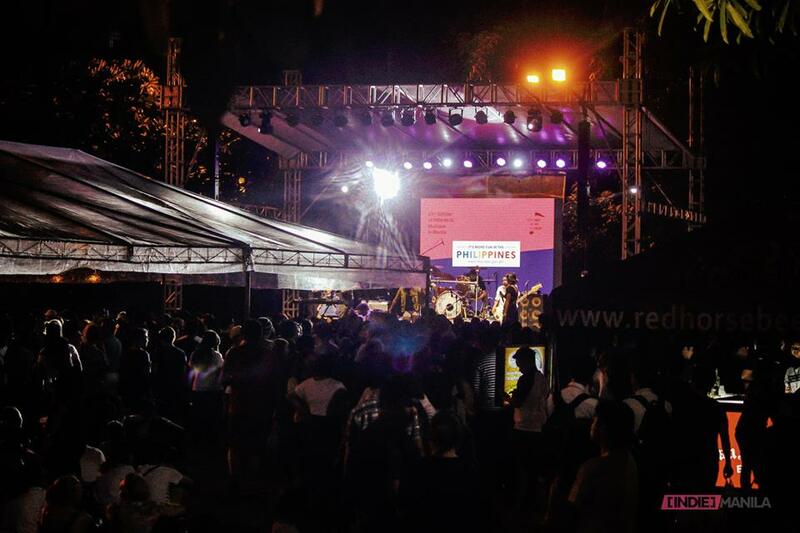 A pre-Fête main stage will also be held in Luneta Park on June 16. As in previous years, the organizers have collaborated with different independent production outfits to create genre-based pocket stages that cater to all tastes in music. On June 23, Makati City will be energized with more than 35 pocket stages scattered across different bars, restaurants, artistic spaces and cultural hubs. Find out more about the music acts performing on the main stages and the events in the pocket stages by downloading the Fête PH app. Launched in France in the 1980s and then initiated by the French cultural centers abroad, the annual day of music-making Fête de la Musique has since expanded to over 800 cities and 120 countries with thousands of events worldwide. In 1981, Maurice Fleuret, Director of Music and Dance at French Ministry of Culture, applied his reflections to the musical practice and its evolution – “the music everywhere and the concert nowhere.” When then-French Minister of Culture Jack Lang introduced the event in 1982, the objective was to bring music out into the streets, inviting all those who could play an instrument or carry a tune to perform. The festival, through the years, has expanded into an event that promotes camaraderie, artistic collaboration, and sharing of musical knowledge and experience. In the Philippines, one of Fête de la Musique’s unique features is the simultaneous concerts in different venues for different musical genres. 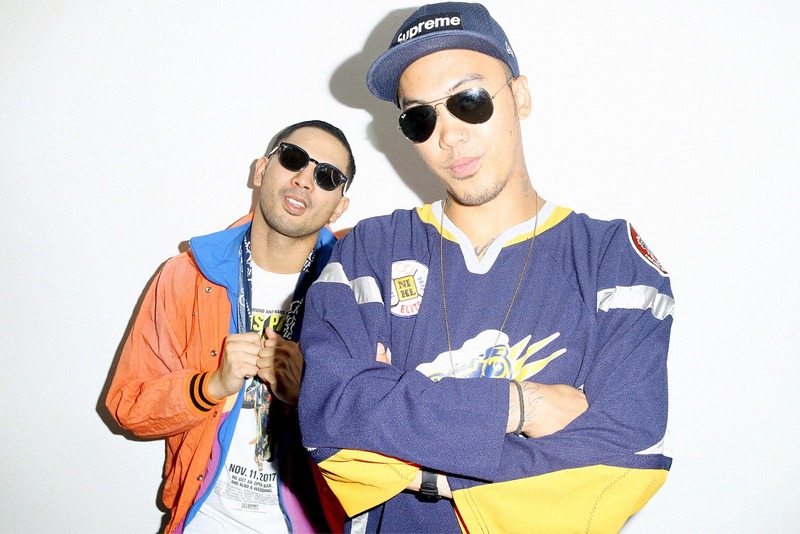 From pop to hip-hop, reggae to classical, electronic to jazz, the magic of Fête de la Musique transcends across all musical taste, bringing together people from all walks of life. 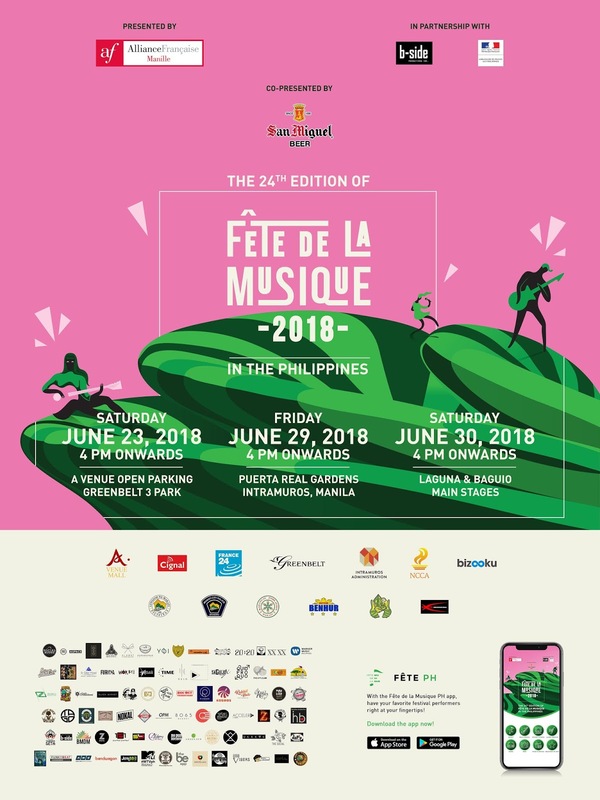 The 24th Edition of Fête de la Musique is presented by Alliance Française de Manille in partnership with B-Side Productions and the Embassy of France to the Philippines. 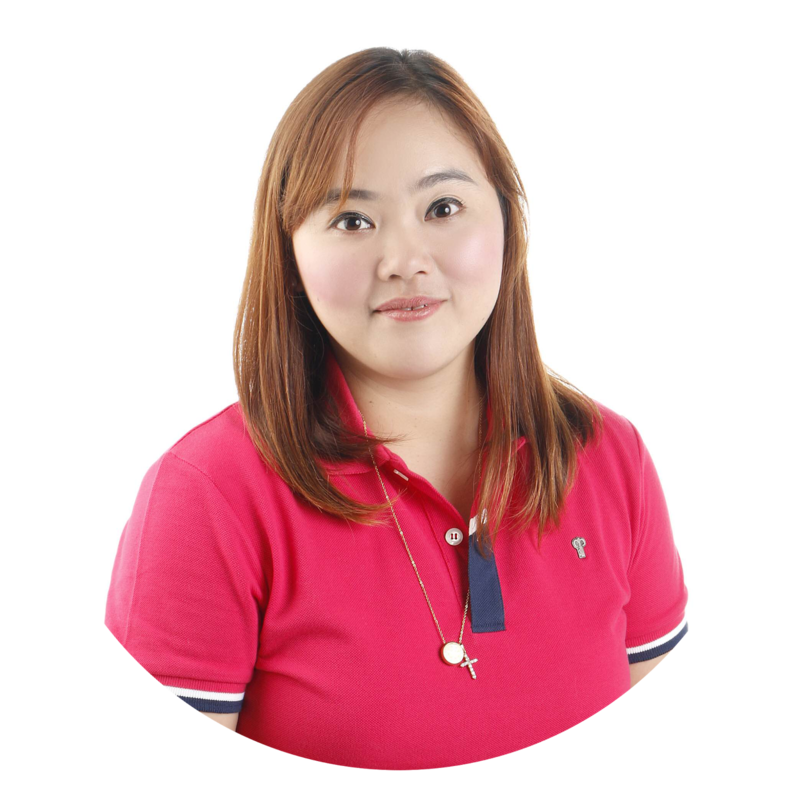 The event is co-presented by San Miguel Corporation.